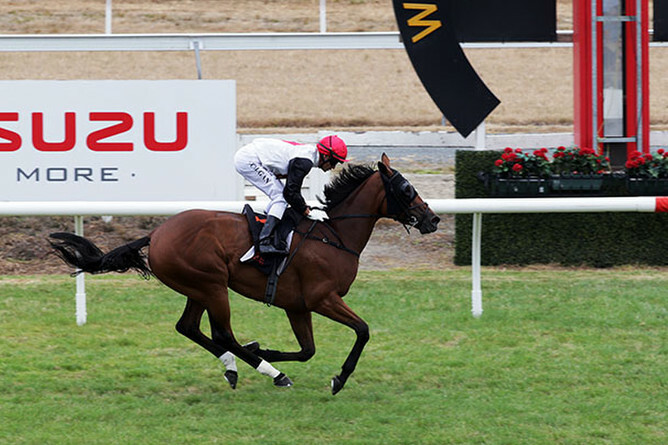 Exciting staying prospect Rondinella gave racing fans at Te Rapa on Saturday another glimpse of her undoubted talent when she treated her rating 82 rivals with disdain when scoring handsomely over 2100m. The Ocean Park four-year-old mare was all class as she looped the field for rider Vinnie Colgan with 600m to run, before cruising clear in the home straight to win untouched by six lengths. Patiently handled, the daughter of Group One performer Valpolicella signaled her return to the track with a fresh-up win over 1400m last November. Four starts since then have yielded two further victories as James and co-trainer Robert Wellwood continue to get her career back on track.